INDIANAPOLIS - The Indians have gone two full seasons without a walk-off home run, the last being a walk-off grand slam by Alen Hanson on Aug. 15, 2016. 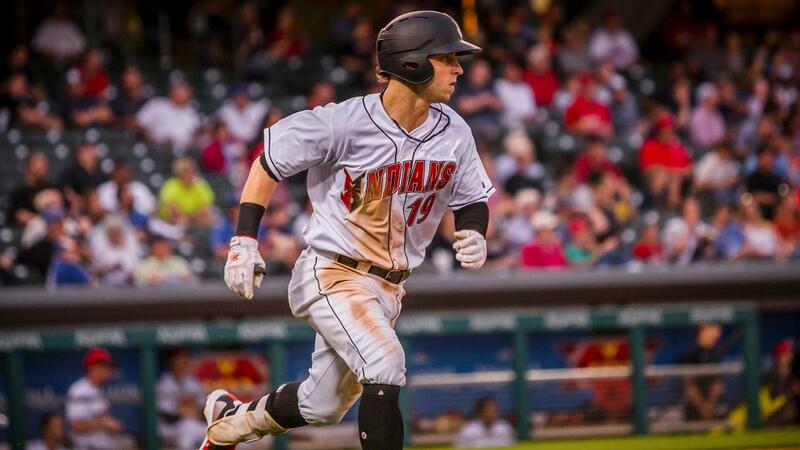 Indy's closest coming to a walk-off blast came in Game 1 of a doubleheader on July 27 this year against Buffalo, when Wyatt Mathisen broke a 2-2 tie with a sixth-inning shot to left-center. The Tribe hung on to win the game in dramatic fashion, 4-3. The visitors grabbed a pair of early one-run leads. Buffalo used a Dalton Pompey single and stolen base to set up small ball in the first, as a sacrifice bunt and eventual sacrifice fly by Rowdy Tellez made it 1-0. Indy leveled the score thanks to patience and a theft by Jose Osuna. He opened the second with a walk, and his two-out stolen base led to an RBI single by Jerrick Suiter. Both teams were held scoreless in the third, but the Bisons put another run on the board in the next frame to go up 2-1. Jason Leblebijian worked a free pass against Tyler Eppler and moved to second on a groundout. Following a strikeout, Tim Lopes singled up the middle to bring home Leblebijian. Both starters walked the tight rope in the fifth and sixth innings. Eppler stranded a leadoff double by Tellez in the fifth and stranded two more runners in the sixth, while his counterpart Murphy Smith worked around a hit batter, two-out single and wild pitch in the fifth to keep Buffalo in front. The Indians finally broke through in their half of the sixth, however. With Smith out of the game, the Tribe rallied for three runs against Danny Barnes. Austin Meadows singled with one away and advanced to third on a stolen base and coinciding throwing error by catcher Reese McGuire. Jason Martin cashed in on the miscue, narrowly beating out a bunt single to first base to plate Meadows. Two pitches later, Mathisen cranked his fifth homer in a Tribe uniform out to the deepest part of Victory Field. The Bisons refused to go quietly in their final at-bat. Tellez got the best of Eppler one more time with a leadoff double. Dovydas Neverauskas took over on the bump and yielded a run-scoring single to Richard Urena. Neverauskas saw the Bisons load the bases by way of two walks issued, but he caught Lopes looking at strike three to seal the victory. The Tribe had just five hits offensively in the triumph. They had been 0-13 in games with five or fewer hits leading up to the July 27 doubleheader-opening win. Eppler picked up his 10th win of the season thanks to the late heroics of Mathisen.